Vases of this form with guan-type glazes are known, one in the Indianapolis Museum of Art, illustrated by Mino and Robinson, Beauty and Tranquility, The Eli Lilly Collection of Chinese Art, p. 340, fig. 20; and another sold in these Rooms, 28 October 2002, lot 722A. 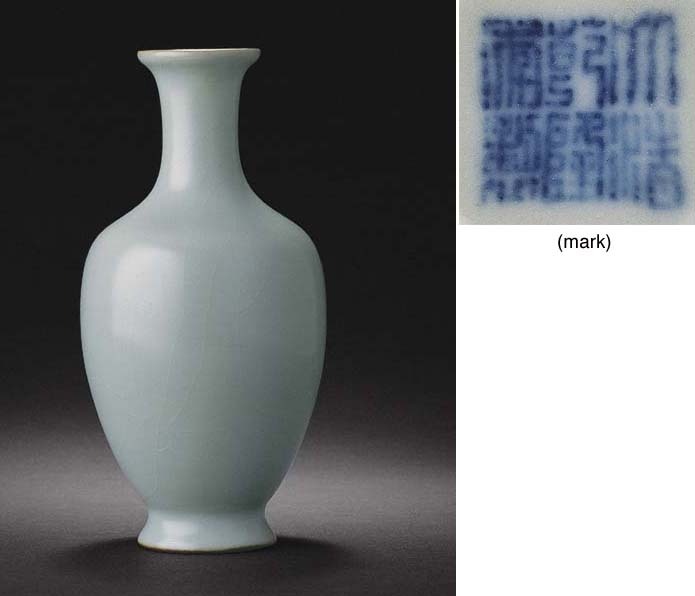 Compare also a related Qianlong vase covered in a pale celadon glaze, illustrated by J. Ayers, The Baur Collection, vol. III, Geneva, 1974, no. A380.